Imagine you’re sitting comfortably in your living room watching Sunday night football, when your electricity disconnects, and you find out that there are no repairs being done anywhere in your neighborhood. However, to your dismay, you look out the window and see your neighbor digging around their yard without the support of an expert. At this point, you realize what might happen, and you walk out to confront them about it. This scenario plays out the same way over and over again in countless American homes. The result is that the neighbor gets into a lot of trouble, and ends up having to pay for the reconnection and possible repair work that the other party will require help with. Now, that’s all well and good, but what if you begin excavating around your house and you hit an old gas pipe. That’s a far more serious problem, and it can also be extremely dangerous. Naturally, the financial stress required to solve this problem will be even greater. 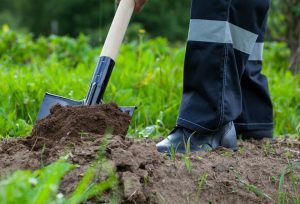 Calling 811 and making sure there are no water or gas pipes and no utility lines running under the area you want to excavate can save you a lot of trouble and unwanted expenses. The work required will only take a limited time, and you can continue excavating with recommendations from your local Colorado Springs utilities locations experts.